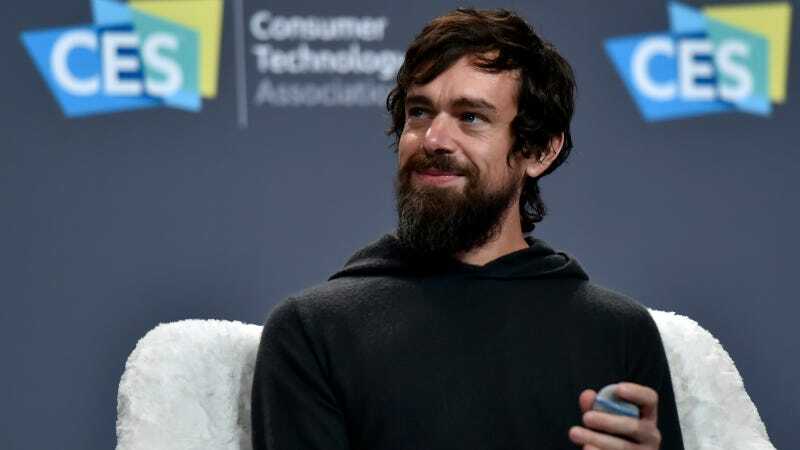 Twitter CEO Jack Dorsey speaks during a press event at CES 2019 in Las Vegas in January. None of us—myself included—should generally feel in a position to comment on or criticize what and how other people eat. Some people prefer small snacks to big meals; some might not feel hungry until noon; some want one indulgent meal offset by smaller, healthier ones. You do you! But Dorsey’s diet seems plainly insufficient, from a straight-up biological perspective. That one meal he eats on weekdays? It’s typically “a protein, green vegetables, and dark chocolate or berries for dessert.” Man, where are your carbs? Get some long-grain rice in there. Maybe try a slice of bread. And don’t forget dairy, my favorite of all food groups. Again, I don’t want to shame anyone’s version of a “healthy” diet, just raise the question of whether this very public figure’s purportedly “focused” state when he hasn’t eaten in two days is advisable. Oh, and here’s the 10-foot pole with which I refuse to touch the question of whether Dorsey has an eating disorder. If you want to debate that, Twitter.com is the place for you.